With all of the time you've invested in your garden it would be a shame to have rabbits destroy it. Here you'll find some plants rabbits wont eat. While cute, rabbits can be serious garden pests! There’s nothing quite like the frustration of carefully planting and caring for your garden, only for a family of rabbits to show up and mow your plants right down to the ground! Rabbits have favorite foods, and that’s why your neighbor’s plants may fare better than yours. But just like most animals, rabbits will eat just about anything if they’re hungry enough! Rabbits prefer young, tender shoots, and are fond of marigolds, pansies, and petunias, among other flowers. However, there’s hope for your garden! Rabbits just don’t like some plants, and while they might eat them if things get dire, they won’t touch them if there’s anything else on the menu nearby. Not sure if you have rabbits? Look around your garden for pea-sized droppings in small piles, or check your plants for chewed marks. Rabbits tend to create a clean cut when they bite, so your plants will look like someone took shears to them. We’ve assembled a list of more than a dozen ‘rabbit-resistant’ plants that might help your garden weather a family of hungry rabbits! If you still have problems with rabbits nibbling on your plants, try using repellents to keep the furry critters away from your hard-won garden! Agave is a long-leaf succulent that forms a rosette shape and is both drought-resistant and perennial. 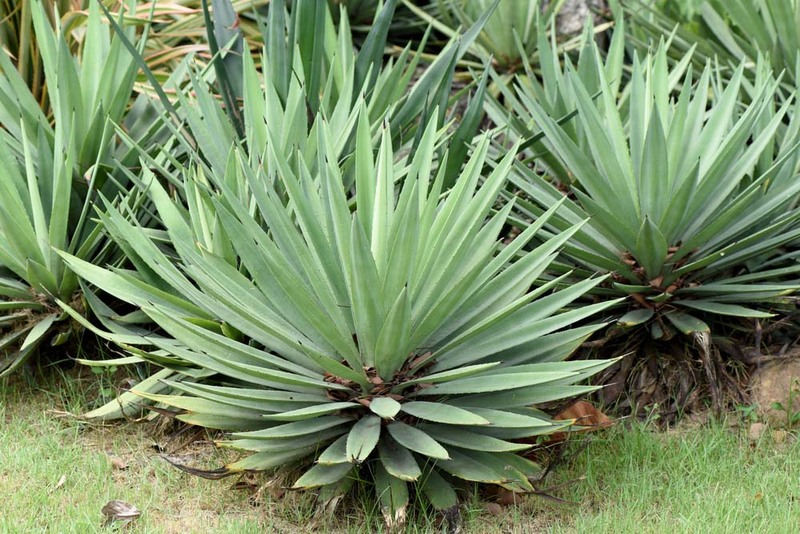 The Century Plant is one of the most popular Agave varieties for gardens. Agave plants need full sun and gritty, well-draining soil. Most varieties will die after blooming and produce pups from the base to replace themselves. Ajuga, or Bugleweed plants, are perfect for ground cover, and may be rose, white, or purple. 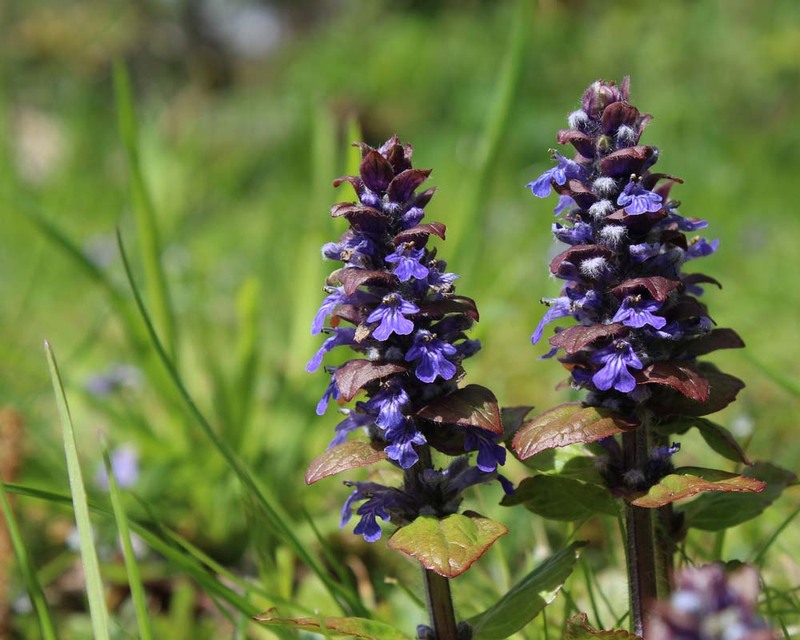 Ajuga plants are evergreen or semi-evergreen and are hardy in zones 3-9. The plants begin blooming in early spring and continue through midsummer. They do well in any type of light, and while they prefer moist soil, they are drought tolerant. These dazzling red flowers might not be a rabbit’s favorite food, but hummingbirds sure do love them! 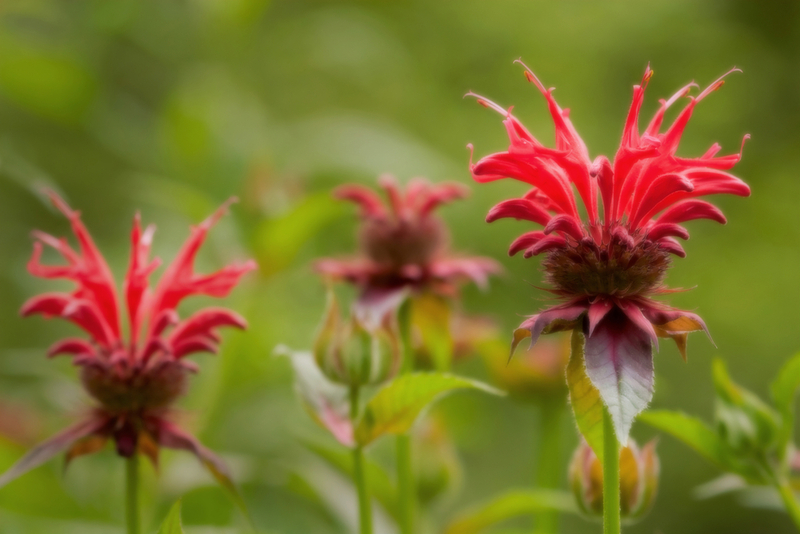 Monarda varieties are easy to grow and produce pink, red, violet, or white flowers during summer to early fall. The flowers are super long lasting and look great in cut flower arrangements. Bee Balm plants love full sun and moist, well-drained soil, and do well in USDA zones 4-9. 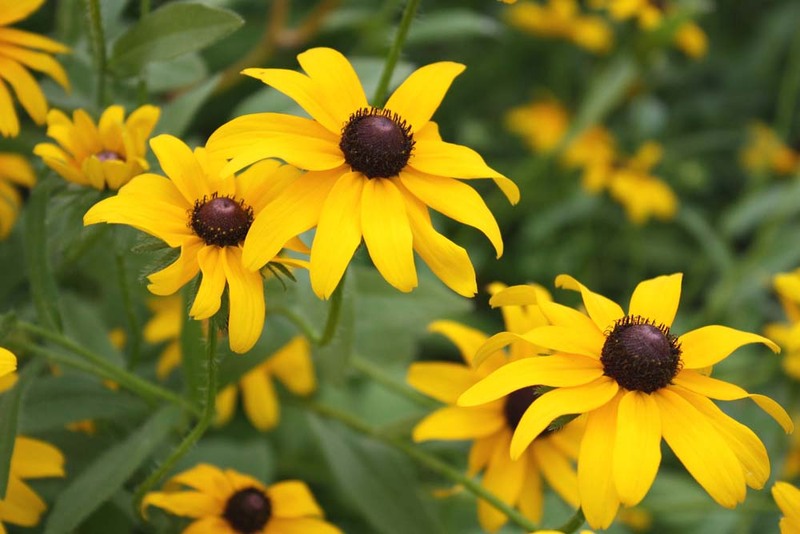 Black Eyed Susans are native to North America and are one of the most popular wildflowers grown in gardens. They are members of the Sunflower family, and can grow over 3 feet tall. Butterflies, bees, and a variety of insects are attracted to these showy flowers, which bloom from June to October. They love moist soil and prefer full sun. Catnip is not a very showy plant, so it can be planted near more showy blooms, like Purple Cone Flowers. If you have cats, plant the catnip in a place where your cats can rub and roll on it without damaging your other plants. Catnip plants love lots of light, so make sure they get plenty of it. 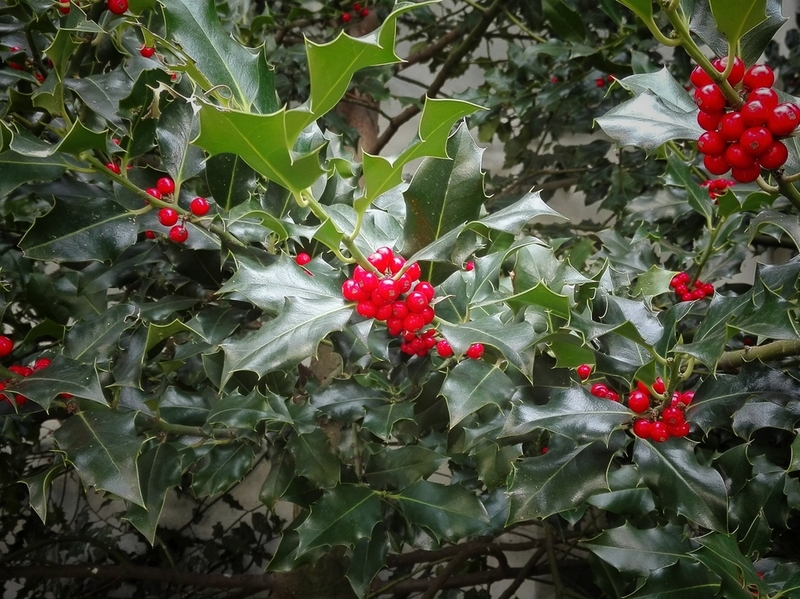 Holly is a festive plant with bright green leaves and red berries. Holly loves full sun and moist soil. If you love the look of red berries on your Holly bush, make sure you get the “female” variety, as only those produce berries. Juniper is a coniferous plant with green, needle-like leaves. These do best with full sunlight, but can survive in partial shade. 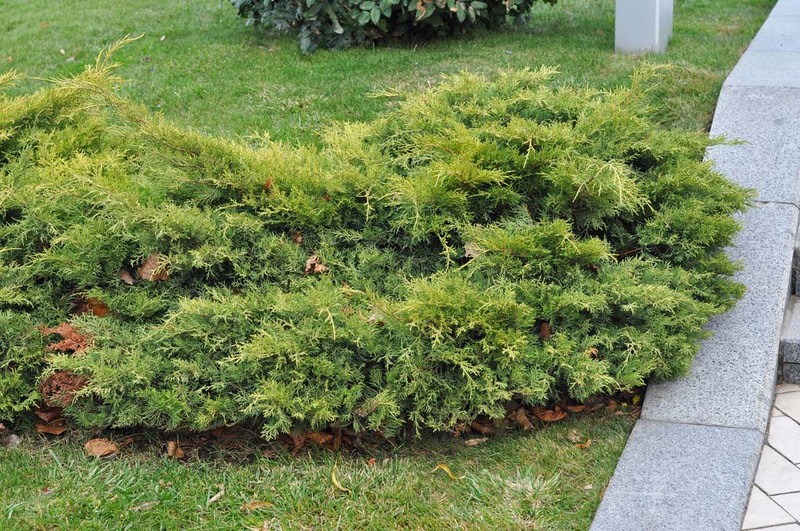 While juniper plants are tolerant of moist soil, keep them away from sprinkler systems, as they can drench the soil more than the plant can tolerate. 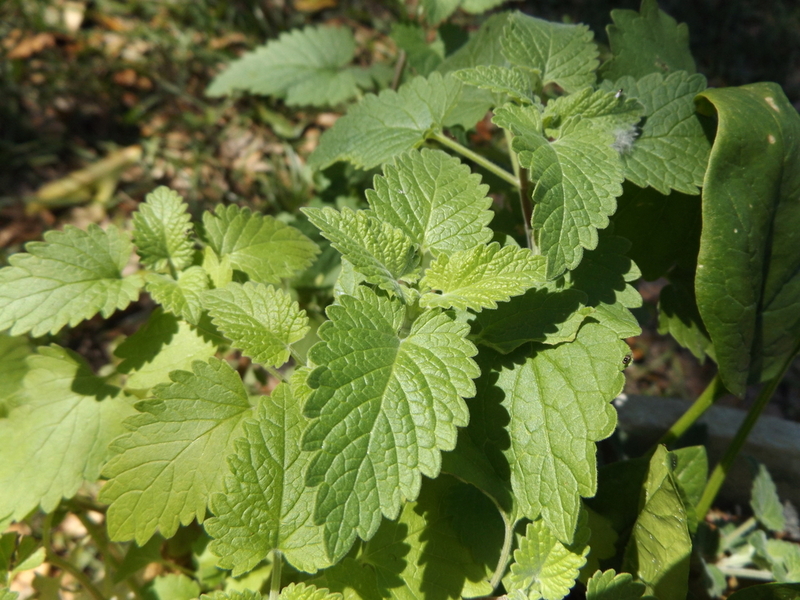 Lemon Balm is a perennial herb that does best in cool weather. It will die back in freezing weather, but regrow in the spring. 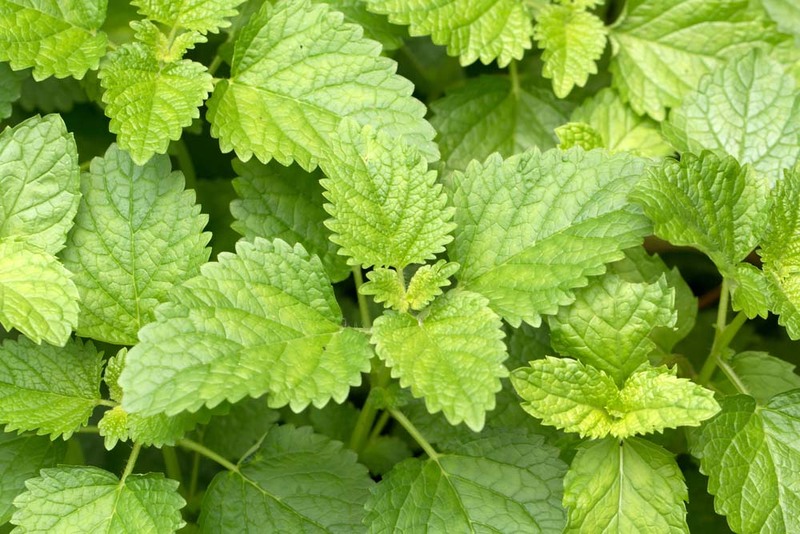 Lemon Balm loves full sunlight but will do well in partial shade, and require regular, even watering. 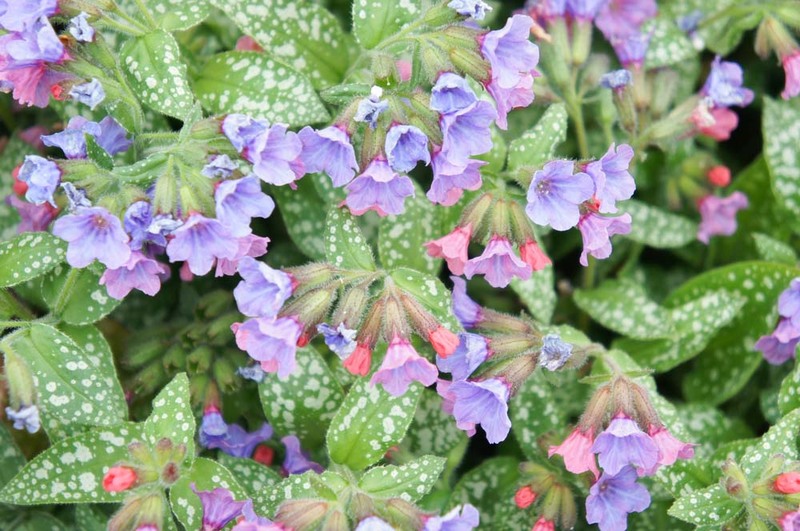 Lungwort is a lovely shade-loving plant with an ugly name. The flowers can be blue, pink, or white, and there can be more than one color of flower on each plant. Lungwort cannot tolerate full sun, and will wilt quickly if planted in full sunlight. 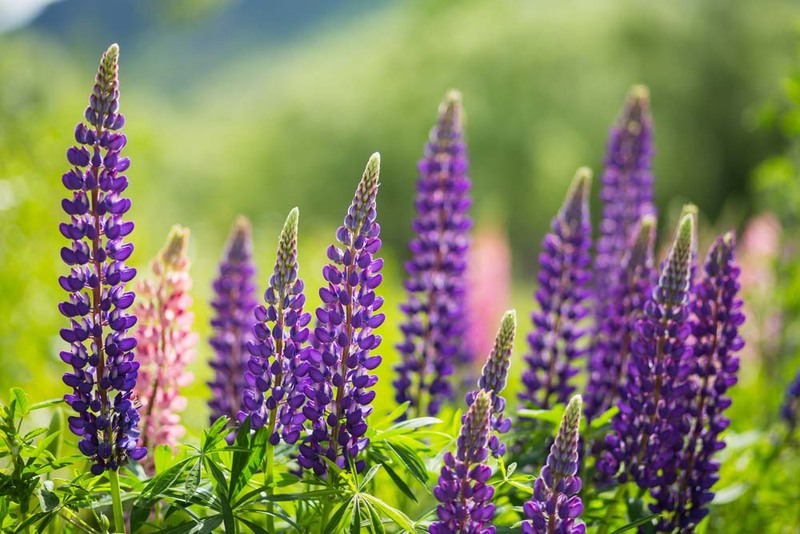 Lupines are spiky, tall plants that have an interesting texture. They come in both annual and perennial varieties. They love full sun, and will attract butterflies to your garden. 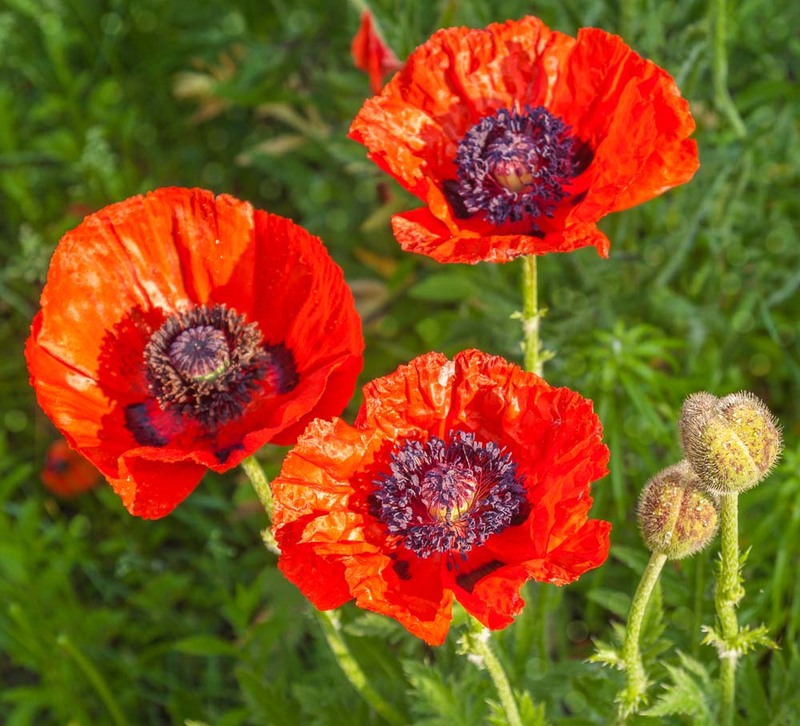 Oriental Poppies have bright, huge flowers, and are sure to add some serious “wow” to your garden. They’re easy to grow perennials, and love full sun and well-draining soil. They need regular watering, but can tolerate short droughts. Poppies do well in zones 3-9. 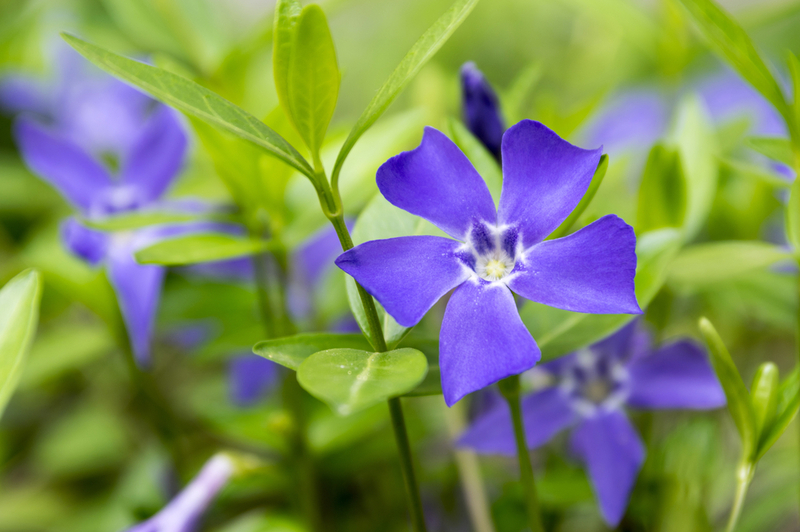 Periwinkle is toxic to pets, so be careful planting it if your animals are outside unsupervised very often. It’s easy to grow and spreads quickly, and is resistant to drought, heat, and wind. Periwinkle is typically a perennial and blooms in midsummer. 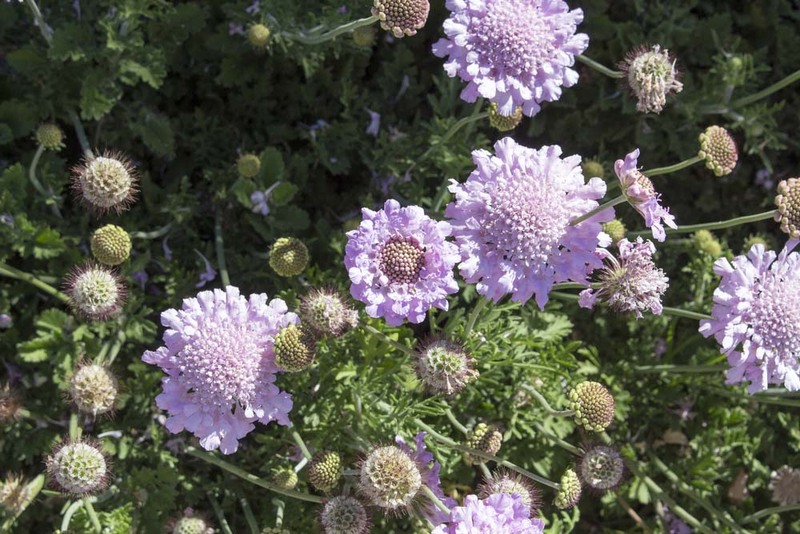 Pincushion flowers do well in zones 4-10, and love well-draining soil. They bloom best in full sun, but partial shade is fine, especially during the hottest months of the year. 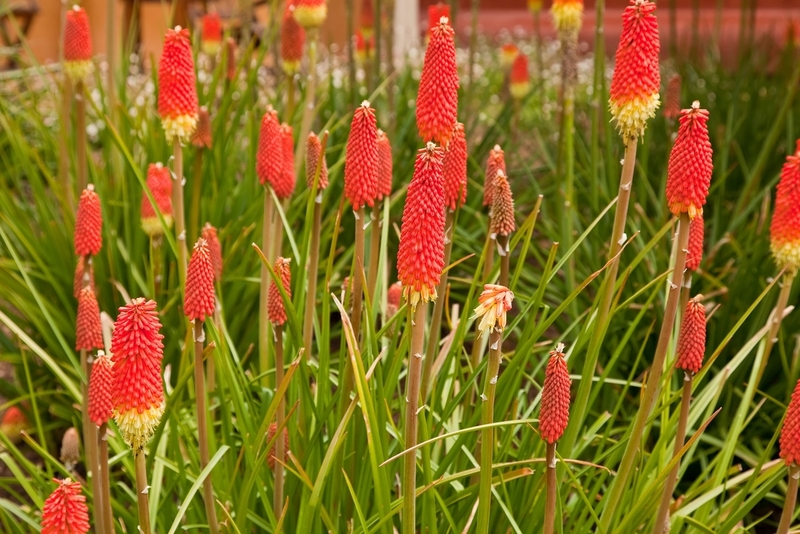 Red Hot Poker plants are easy to grow, drought and heat tolerant perennials. They are also called Torch Lilies, and are native to South Africa. Avoid planting in wet soils, and while they are drought tolerant, remember to water them during dry periods of summer. 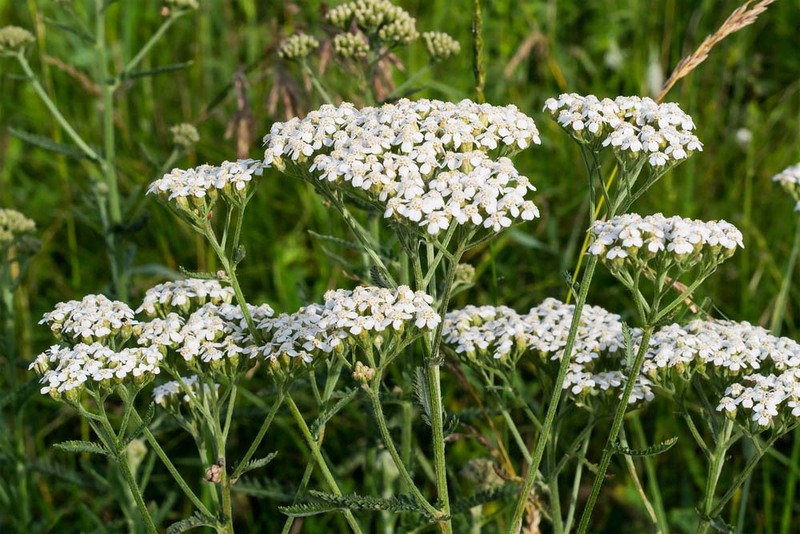 Yarrow plants love full sunlight and well-drained soil and can grow up to 2-3 feet tall. Yarrow is a drought-resistant perennial that does well in zones 3-9.